CCR&Rs know that finding licensed child care is often most challenging for families with infants and toddlers. Infants and toddlers require a highly-trained child care workforce qualified to best meet their unique needs. 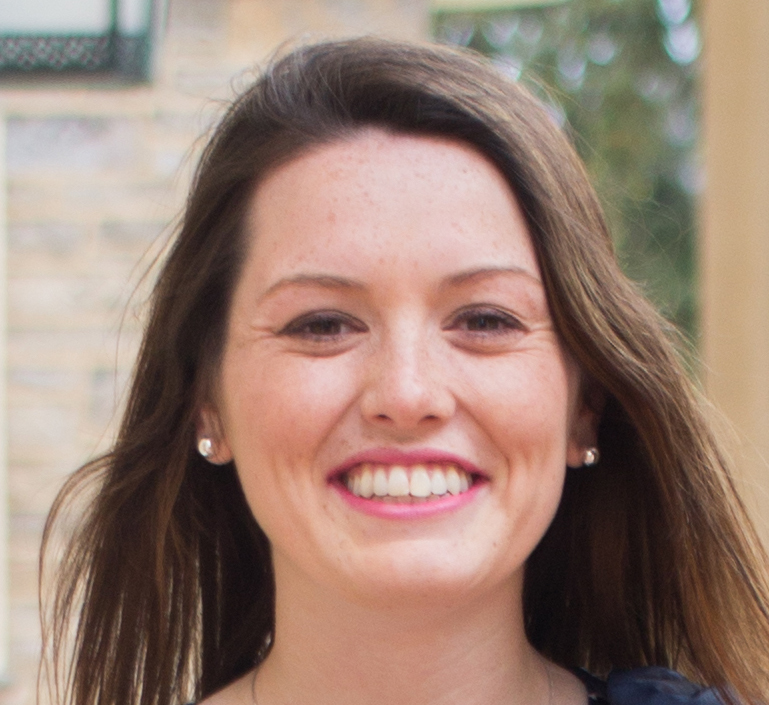 They also require lower staff-to-child ratios to best support their development and safety, meaning it takes a greater number of trained educators to accommodate the number of families with infants and toddlers in child care. This contributes to the high cost of infant spaces for families, and, in the meantime, providers aren’t even making enough money to stay in the field. With the recent increase in funds from the Child Care and Development Fund (CCDF) , many states have a greater opportunity to invest in quality spaces for babies by expanding trainings, improving recruitment efforts and investing in infant-toddler specialists. So, how can CCR&Rs use their data to help determine which communities/regions are in need of these resources? What about mapping? In 2018, CCAoA worked with four states to map infant-toddler child care supply and demand via our interactive mapping project, Mapping the Gap™: Examining Child Care Supply & Demand Across the Country. Because of licensing differences from state to state, we used different methodologies to calculate the supply of infant and toddler slots. 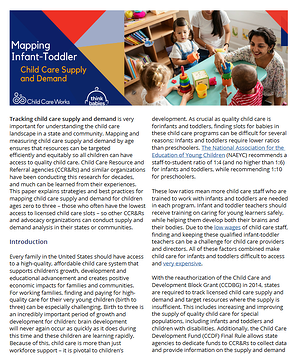 These methods are described briefly in the story maps, and described in greater detail in a special brief from CCAoA’s research team, Mapping Infant-Toddler Child Care Supply and Demand. In this brief, produced for the ZERO TO THREE Think Babies™ project with funding from the Robert Wood Johnson Foundation, we focus on how other groups and organizations can take on this infant-toddler mapping work in their state or community. We also have recommendations and strategies to help make your maps better and use the lessons and strategies we learned on our mapping journey to develop your own maps and child care gaps analyses! Infants and toddlers need quality child care as it is critical to their brain development, and helping families locate that care is what CCR&Rs do better than anyone. Taking these steps toward collecting and visualizing this data can help improve access, better inform supply-building efforts and can create a more equitable process for deciding where to infuse funding and other resources. Tell us what you’re doing to close gaps for infants and toddlers in your community by leaving us a comment below! ZERO TO THREE created the Think Babies™ campaign to make the potential of every baby a national priority. Funding partners for Think Babies include the Robert Wood Johnson Foundation, which supports the campaign’s public education aspects, and the Perigee Fund, which supports the campaign’s public education and advocacy aspects. Learn more at: https://www.thinkbabies.org.